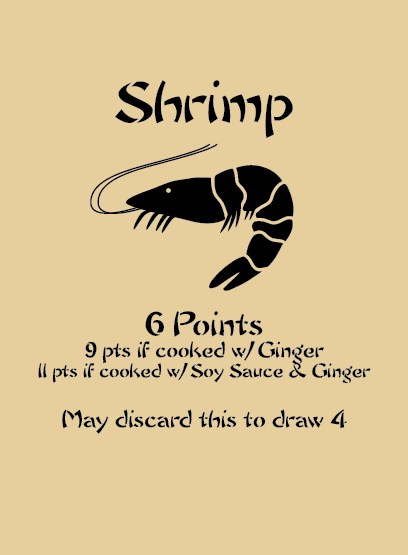 Stir Fry 18 is a game about cooking stir fry while deceiving your opponents and trying to score the most points at the table. 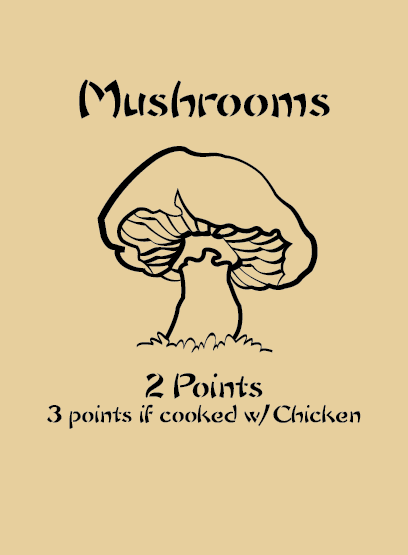 Players draw additional cards each turn by discarding either pairs of matching ingredients or "protein cards" face down. 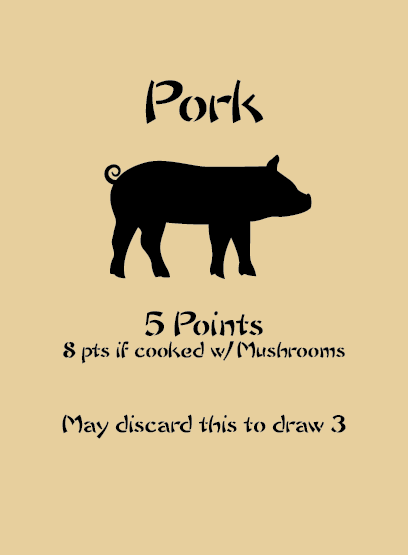 Each player draws a card each turn and then may discard face down ingredients to draw more cards. Players can call for a Taste Test and flip these cards over! Catching another player using false ingredients is super tasty and grants you more cards, but beware, wrongly accusing a player will cost you all of your cards! Designed by Marshall Britt, with additional Development by Andrew Toth and Alexander Clifford. Artwork by Marshall Britt. Note that these are tentative card designs and may not be the same in the final product.